The festivities continue throughout Lancaster County as we get closer to the holidays, from candlelight tours to performances of Irving Berlin's "White Christmas," and local dances, there is no shortage of Yuletide cheer in Lancaster. Our innkeepers love the holidays just as much, with each inn carefully decorated in different styles and genres of Christmas cheer. Be sure to book a room at one of our inns when visiting Lancaster for the holidays (www.authenticbandb.com). 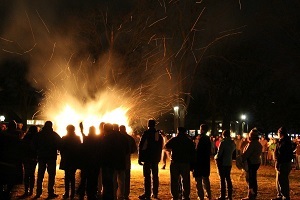 Join the folks at Landis Valley Village & Farm Museum for a Pennsylvania Dutch Christmas by the bonfire December 15 from 6-8:30 p.m. The event, which is free of charge, features wagon rides, tours of decorated historic buildings, caroling around the fire with Lititz Moravian Trombone Choir, and cookies and hot cider in the Yellow Barn. Guests are asked to bring one non-perishable food item to benefit the Lancaster Food Bank. The Ephrata American Legion is hosting a Step Back in Time Christmas Ball December 15, featuring Victorian dances. The event kicks off with a dance instructor for the first hour, followed by a live brass band and DJ. 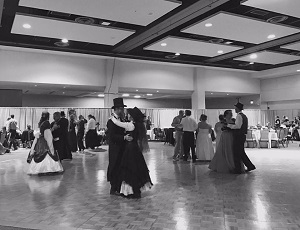 Guests are encouraged to dress in their favorite vintage costume or can dress in their favorite modern clothes. Tickets range in price from $30 for a single person to $300 for 10 people. Mount Hope Estate & Winery at the Pennsylvania Renaissance Faire hosts a holiday-themed Murder Mystery dinner through December 23, featuring classic Christmas tales, caroling, and a four-course dinner in the mansion. 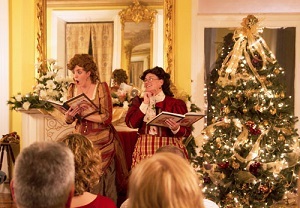 In its 34th season, the unique event mixes its traditional mansion Christmas attraction with its poplar murder mystery event. Tickets are $54.95. 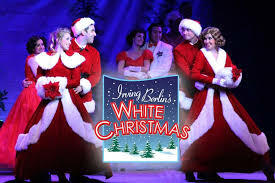 Dutch Apple Dinner Theatre presents Irving Berlin's "White Christmas" through December 31. Based on the classic holiday movie, the live show features entertaining music and talented dance with a full-course meal. For tickets, show times, and more information, visit www.dutchapple.com. 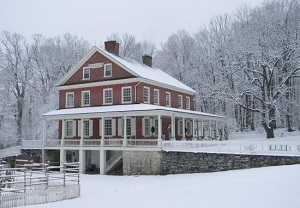 Take a step back in time at Rock Ford Plantation during its Yuletide Candlelight Tours. Guests will learn about 18th century traditions and customs, with traditional Christmas music and dancing. No reservations are required and tickets can be purchased at the door ($10 for adults and $8 for children 6-12 and seniors). Enjoy this holiday season and if you're here in Lancaster County celebrating, we hope you enjoy every corner this county has to offer during the holidays. From downtown Lancaster to Strasburg, Ephrata and everywhere in between, happy holidays from the innkeepers of Lancaster County.